Pre-Requisites: Access Developer Level 1 strongly recommended, as you should watch all of my classes in order. However, if you're skipping around, you should have at least completed the Beginner series and the first 3 or 4 levels of the Expert series where I start to cover functions. 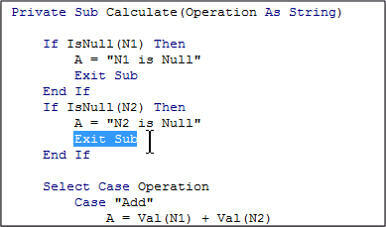 This class continues our look at programming in Visual Basic for Applications in Microsoft Access (VBA, or Access VB). We will begin by building a calendar form to perform basic arithmetic. We will learn about the VAL function, create buttons for the basic math operations, learn how the debugger works, avoid errors with the On Error Resume Next statement, talk more about If Then Else blocks, and Exit Sub. Next we will learn how to create our own Private Subroutines, learn how parameters to those subs work, learn about the Select Case statement as an alternative to If Then blocks, talk about proper code indentation, and more. Next we will build a form to track commissions for our sales reps. You will select an employee from a combo box, his commission rate will be filled in automatically, as will the sale date, you enter the sale amount, click calculate commission, and the exact amount will be calculated. Add optional notes. You will learn how to use the DropDown method to automatically open a combo box. We will learn how to create our own functions, return a value from those functions, and more. 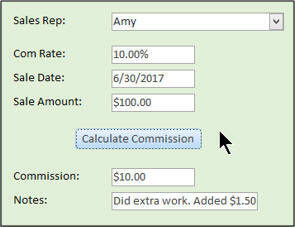 Finally, we will add a button to automatically add the calculated commissions from the previous lesson into a commission table. We will construct an SQL statement and use the RunSQL command and INSERT INTO to add that data to our table. We'll learn about comments, the line continuation character, more about MsgBox, vbInformation, and lots more. This is the 2nd class in the Access Developer series. If you're serious about building quality databases with Access, and you want to learn how to automate your database with VBA Programming then don't miss out on this course. Of course, if you have any questions about whether or not this class is for you, please contact me. Richard on 7/19/2017: Access Developer 2 continues our in-depth study of Visual Basic for Applications programming with Microsoft Access (Access VBA). If you're serious about building quality databases with Access, and you want to learn how to automate your database with VBA, then don't miss out on this course. 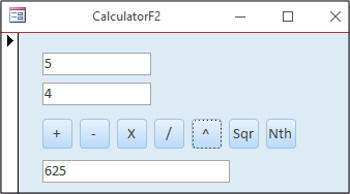 Contents include: - Building a Calculator Form - Basic Debug, On Error Resume Next - Creating Subs with Parameters - Select Case Statements - Creating Functions - Returning Values from Functions - Comments, Line Continuation - More MsgBox Options - RunSQL, Insert Into - Lots more Click here for more information on Access Developer 2, including a course outline, sample videos, and more. This course was recorded using Access 2016, but most of the topics covered are valid for all versions of Access from 2003 on. This class follows Developer Level 1. The next course in the series is Access Developer 3.